"Wait a minute, this is wrong"
it helps other people do the same. As we have seen in recent news, when one brave survivor speaks up it affirms others, giving them the courage to tell their stories too. MapYourVoice is designed to harness this viral potential, to set off a global chain reaction of reporting, witnessing, and supporting. Instead of fading with the rapid pace of news or social media cycles, our Global Assault Report Map preserves survivors’ stories in the public eye. Each story reported adds another pinpoint to the map, giving the world a more complete image of the true impacts of sexual violence. WARNING: THIS VIDEO BEGINS WITH SURVIVORS BRIEFLY SHARING THEIR STORIES OF SEXUAL ASSAULT. 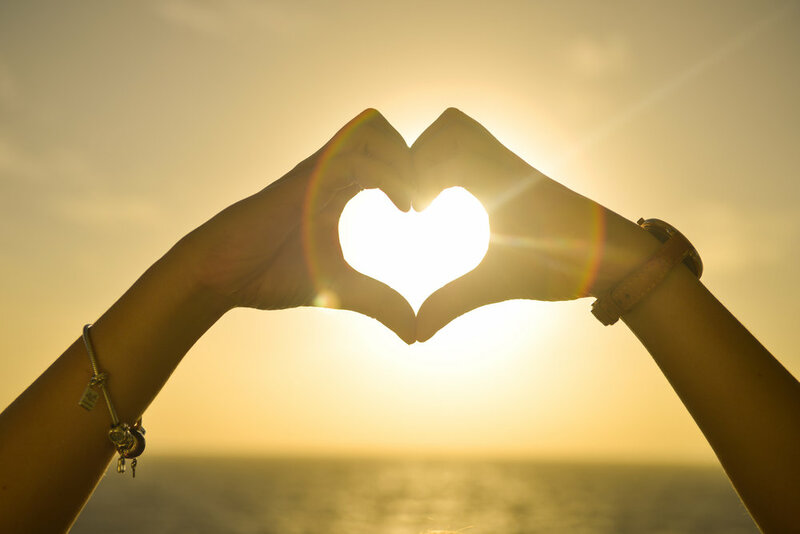 For decades, experts in the field of psychology have understood there are 3 basic necessities for recovering from sexual trauma: safely telling, getting help, and connecting with others who understand and care. 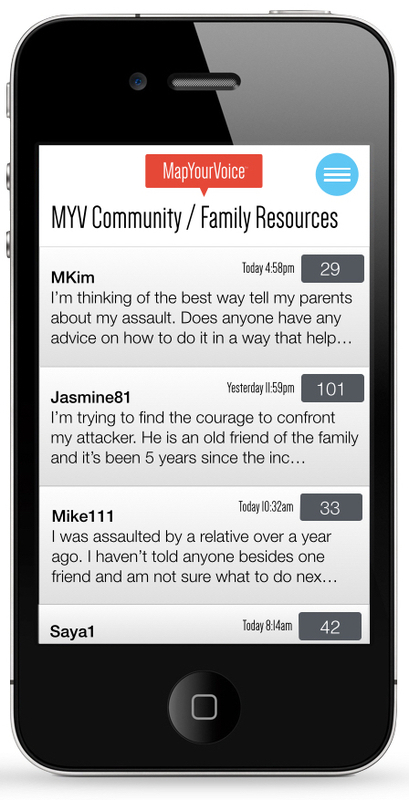 Designed by trauma therapy specialists, MapYourVoice provides universal access to these essential recovery steps to survivors in every city, town and village across the globe. Often when survivors tell about their assault, they are met with a less-than-supportive response. This can add more pain and isolation to an already traumatic experience. 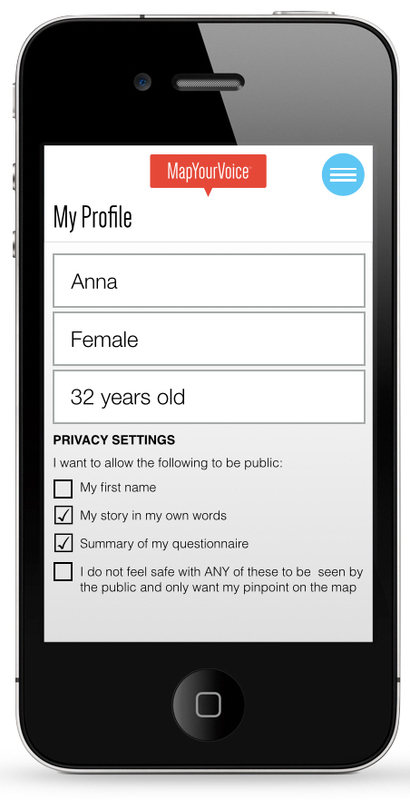 MapYourVoice provides a safe, anonymous, and therapeutic process for taking the first essential step of telling. And because it can feel unsafe to speak up in-person, survivors benefit from the distance, anonymity, and security of our web-based platform. Our ever-growing network of support includes 1000’s of “street-level service organizations” to support survivors with their specific needs. 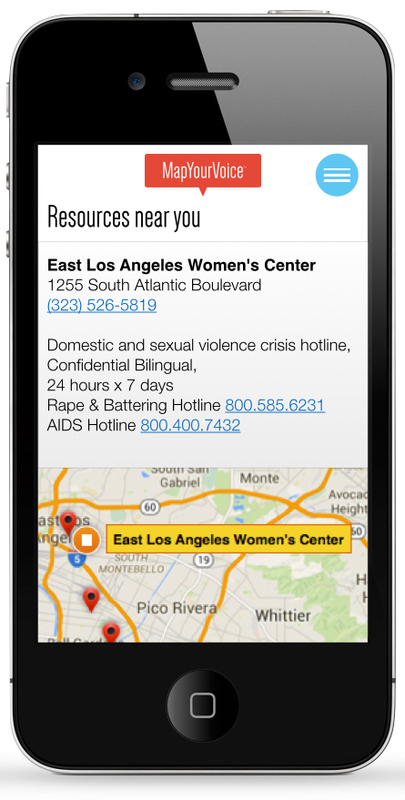 Be it police protection, emergency medical care, counseling services, safe havens, suicide prevention, legal aid, child protection, crisis intervention and more, MapYourVoice gives survivors the easiest and fastest route to pinpoint and access appropriate local support. Sexual violence is a very isolating experience - survivors are left feeling very alone with their trauma. By witnessing the stories of other survivors, and being witnessed, each survivor can gain the cathartic experience of knowing they are not alone and that others indeed understand what they have been through. This can help to re-infuse life with meaning and give a more accurate, less self-harming perspective on the assault. Our assault reporting process was designed and field tested by trauma therapy experts to guide survivors through a therapeutic process of telling. Sexual trauma, and resulting PTSD, can have a very “fragmenting” (or disorganizing) impact on the psyche. The comprehensive assault report questionnaire can help to organize and begin creating internal safety around a very troubling, traumatic memory. Full of helpful tips and education information, the assault report guides survivors every step of the way and includes both multiple choice questions and an opportunity for survivors to share their experience in their own words. As a final step in reporting, survivors choose how public or anonymous they want their assault report to appear on the map.